There are many reasons to plant shade trees in your yard. Not only do they keep your yard cooler, they can shade your house and reduce the temperature inside on hot summer days. They also act as a natural filter for the air and prevent soil erosion. Large shade trees can be a key component of your landscaping design in Alpharetta. Here are some of the biggest shade trees for your yard. A stunning tree, the Red Maple bursts with color almost year long. In winter, its branches feature buds that burst into flowers in the spring. The full tree’s leaves provide great shade in the summer, and turn a brilliant red in the fall. It grows at a medium to fast rate and can be as tall as 60-feet at full maturity. The bald cypress is best known as the iconic tree of southern swamps, but it can adapt just as easily to drier conditions and works well as a shade tree in your yard--provided you have enough room for it! As with any large trees, it's important to consider how big the tree will get so you don't plant it too close to your house, power lines, or the road. Remember to think about where the root system will spread as well. These trees can reach around 100 feet high, with a large canopy to shade a huge swath of property. They grow at a moderate rate and are typically long-lived. The American sycamore is another massive tree that can reach about 100 feet in height. These beautiful shady trees grow quickly and are popular as shade trees throughout the eastern United States. While they can suffer from insect problems, you can usually avoid serious damage by keeping a close eye on the trees. Sycamores prefer moist soils but can handle slightly drier soil as well. Elm trees are extremely popular in the eastern United States for their adaptability and shade as well as their lumber. You'll also see them planted along the sides of streets to show off their reliably stunning autumn colors. 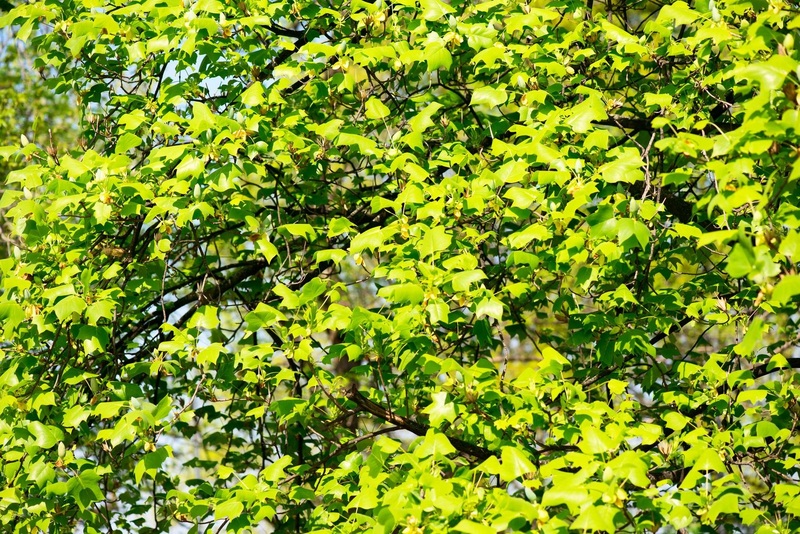 Available in a variety of species, including Chinese, Cork, Rock, Siberian and American Elms, these trees feature furrowed bark and lustrous green leaves. Due to its adaptability, this tree has graced the American landscape since the country’s founding. The American Elm is a large tree, reaching heights of up to 80-feet at full maturity, with a powerful truck, and a broad multi-branched crown. There are many different varieties of oak that work well as shade trees. The United States alone has about 90 native species of oak, many of which can reach heights of 70 or more feet. They also have a wide, expanding crown, so one tree can shade a large section of your yard. 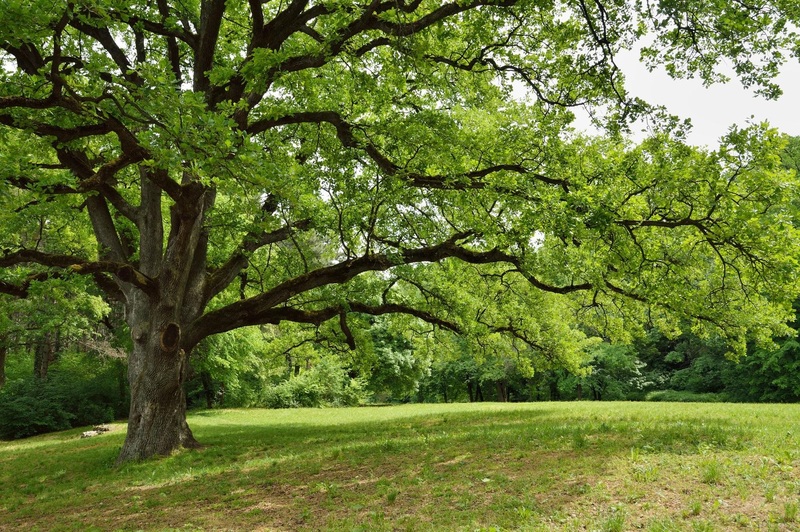 Oak trees tend to have a long lifespan and are fairly resistant to insects and disease, making them ideal for your yard. They are also valuable for their lumber, which is widely used in furniture and home building, so they are easy to find.